Newly minted No. 1 Angelique Kerber, who was playing in her third Grand Slam final of 2016, overcame 10th-seeded power-server Karolina Pliskova to become the first German to win the US Open since Steffi Graf in 1996. This year, as we celebrate the 50th anniversary of the US Open, we’re counting down the 50 most memorable moments in the history of America’s Grand Slam. Calm, cool and collected and barely registering any emotion on the court, American Stan Smith reached the pinnacle of tennis in 1971, when he won his first major singles title at the US Open. There are comeback stories. Then there’s Sloane Stephens’ comeback story. Fewer than five months before Stephens won the 2017 US Open women’s single title, she was unable walk. In September, she was jumping for joy. Marat Safin was a titanic talent, with a game as mercurial as his personality and the kind of easy power that branded him a generational star. Throughout his 12-year professional career, he sometimes struggled to sync mind and body, but when he did, the outcome was often astounding. One such result came in Flushing Meadows in 2000. The 2015 women's final was an all-Italian affair, with longtime friends Flavia Pennetta and Roberta Vinci vying for the trophy. The 1972 men's final was a study in contrast between hometown favorite Arthur Ashe and the mercurial, flamboyant, often controversial Romanian Ilie Nastase. Nastase appeared to be on the verge of losing the match but battled back to win in five thrilling sets. Arantxa Sánchez Vicario reached two finals at the US Open during her career and defeated Steffi Graf in a thrilling 1994 final to become the first woman from Spain to win the women’s singles title in the 108-year history of the tournament. In the first year the US Open was played on clay in 1975, one of the game’s greatest grinders—Spain’s Manuel Orantes—finished first at Forest Hills, playing his way to the title with a game that showcased equal amounts of grit, guts and gallantry and included one of the greatest comebacks in the history of the event. Rod Laver made tennis history at the US Open in 1969 when he won his 11th and final major singles title to complete an unprecedented second calendar-year Grand Slam. Serena Williams entered the 2001 women's singles final as the overwhelming favorite, but Samantha Stosur was too good on this day, beating the American at her own game with a barrage of booming forehands. In 2001, Lleyton Hewitt was an up-and-coming talent – a 20-year-old Aussie, known for his intense play, mental toughness and screams of “C’mon” that so many of the world’s top pros voice on court today. Virginia Wade etched her name into the record books when, in 1968, she won the first-ever US Open women’s singles title in the Open era. 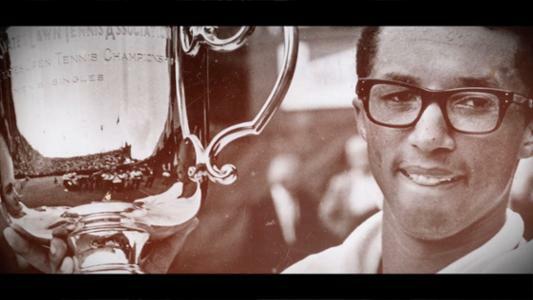 Arthur Ashe captured the first US Open men’s championship in 1968, becoming the first African-American man to win a major title.